We visited the east coast of the United States, specifically the city of Boston, to take refuge in one of the latest projects in which PORCELANOSA Grupo has participated. There, in the maritime area, in the district of innovation, is the emblematic Envoy Hotel. A building with up to 136 rooms and suites, it offers guests a truly unique experience. 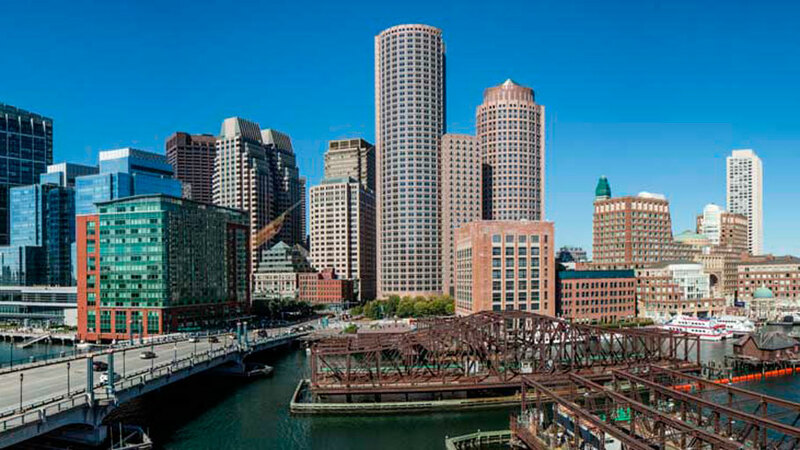 Originality, hospitality and contemporary style characterize this hotel that blends perfectly into such a populous and cosmopolitan city like Boston. Add Inc / Stantec were responsible for carrying out this project design, which also involved the collaboration of another studio, Group One Partners, for the setting up of the communal areas. 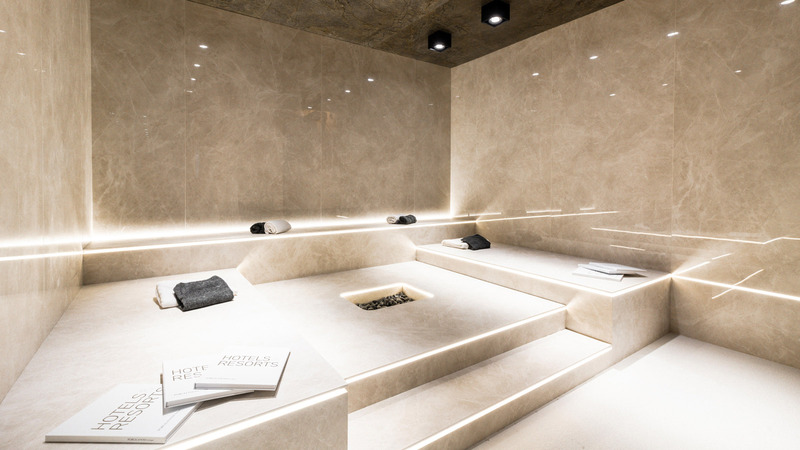 PORCELANOSA Grupo arrived in the heart of Boston because of the professionals from this studio, who opted for the KRION® Solid Surface compact mineral as their favourite material for the high traffic areas. Thus, it is possible to find the acrylic stone from Systempool in such busy and demanding areas as the reception, which simulates a stone bridge carved by nature. 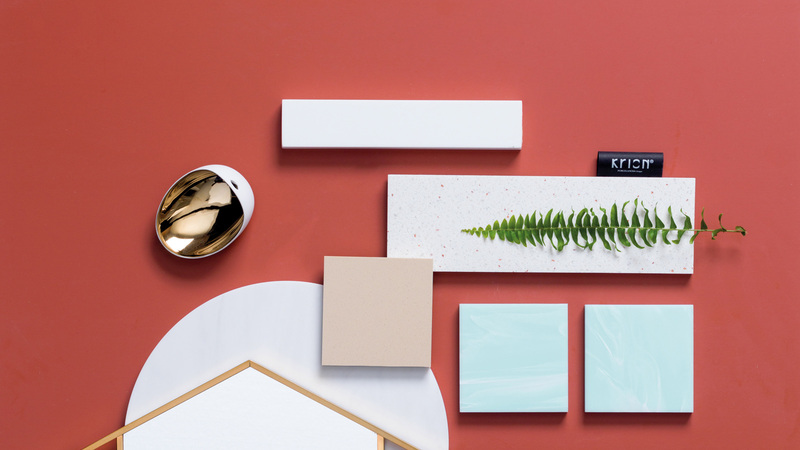 And everything is possible with KRION®, which provides its high quality and durability as well as its power to thermoform, which creates the most incredible and unique shapes. 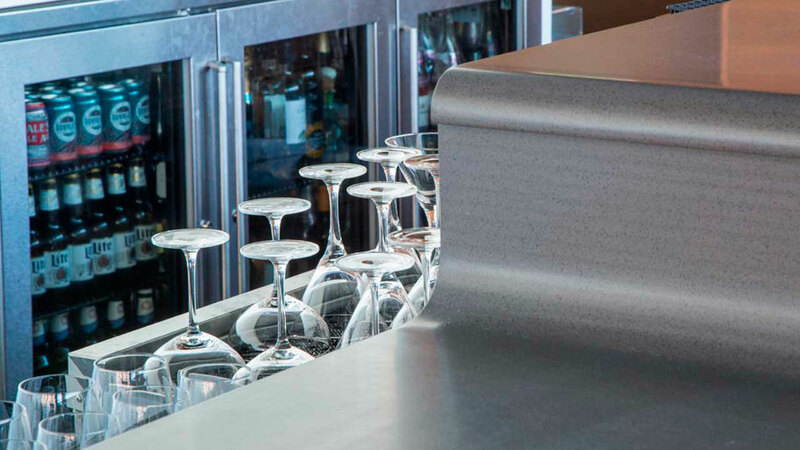 For its part, the Solid Surface KRION® also leaves its mark in the hotel lobby, a high transit point regarding the guests. 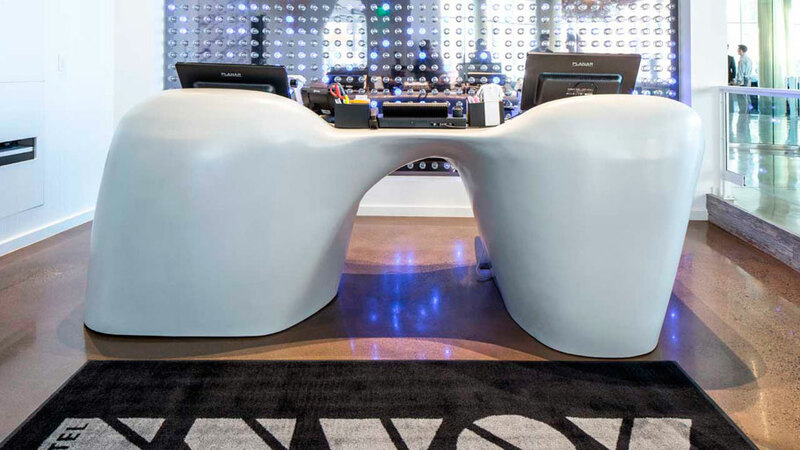 This is done through an original and futuristic additional table design. 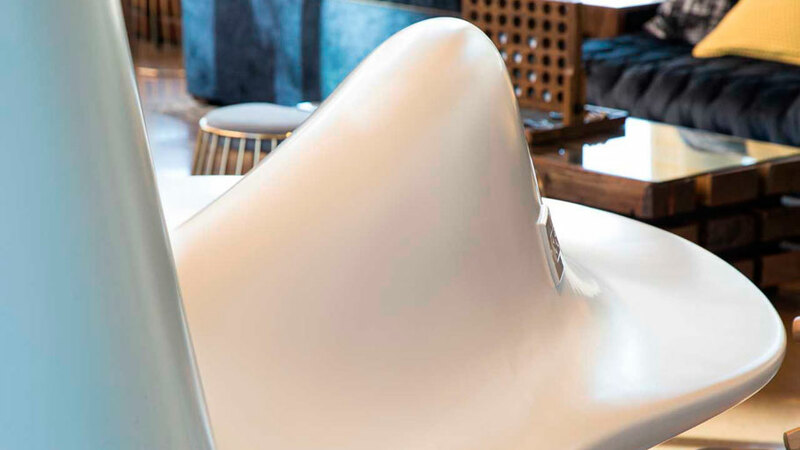 A piece of furniture that offers a glimpse of the hotel’s modern spirit, giving not only distinction but also a free rein to the imagination in relation to just what its shape suggests. 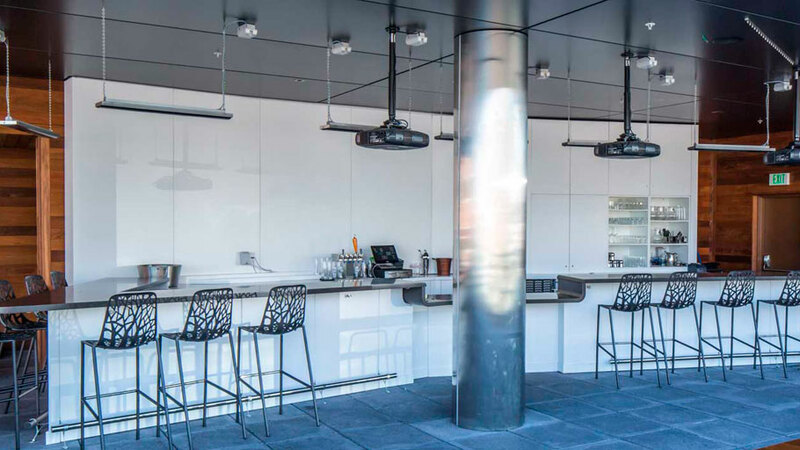 The last of the rooms done by KRION® is the roof-top bar. 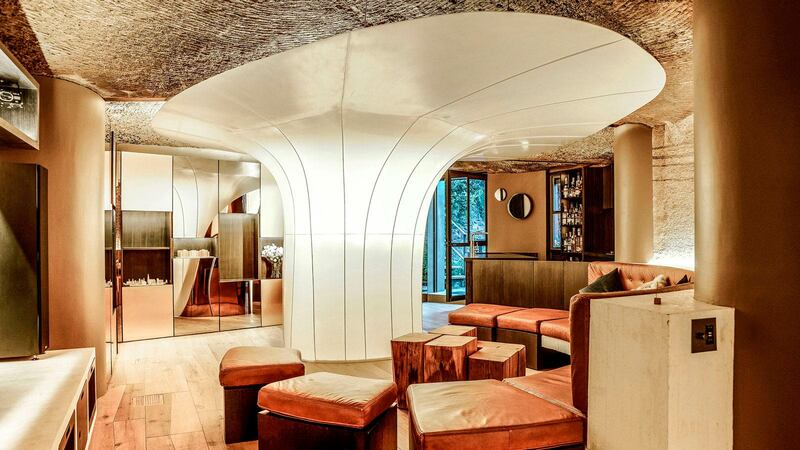 This room displays the purity of the cutting-edge material in the bar and on the walls. A space with both incredible views and a relaxing atmosphere that boasts of having this cutting edge material, which is presented in its 1100 version Snow White and in 9507 Taupe from Royal+ KRION®. KRION® sheets cover the wall tiles in the terrace area, acting as an audio-visual projection screen. 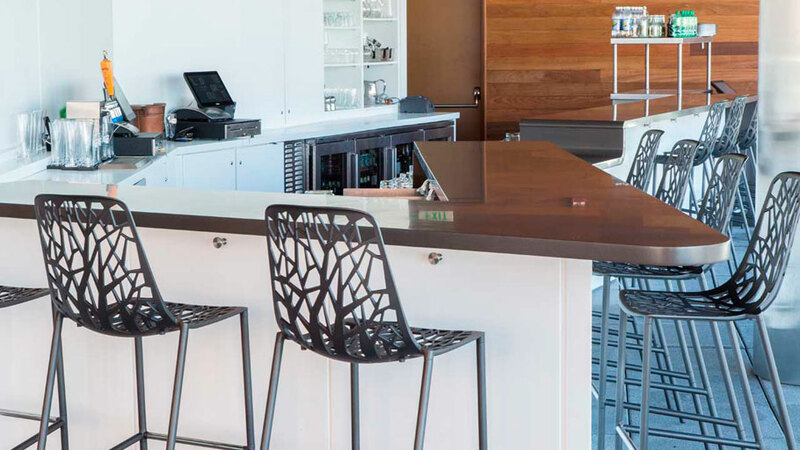 A project with aesthetic features together with endless material benefits, which undoubtedly make the Envoy Hotel in Boston a place worth visiting.